Celebrate the moments of iconic action and relive the timeless adventures andfrom Star Wars: Rogue One with this premium 6-inch replica figure of CaptainCassian Andor from Star Wars The Black Series. An accomplished AllianceIntelligence officer with combat field experience, Captain Cassian Andorcommands respect from his Rebel troops with his ability to keep a cool headunder fire and complete his missions with minimal resources. Outfitted withhis signature blaster rifle, and 2 prime accessories, this 6-inch CaptainCassian Andor figure from The Black Series features premium deco acrossmultiple points of articulation and quality realism for iconic role play andultimate collectability. Embark on an epic journey alongside Captain CassianAndor and the Rebel heroes, as you battle against the Imperial officers whoare charged with protecting the Galactic Empireâ€™s most fearsome and deadliestconstruction, the superweapon known as the Death Star. 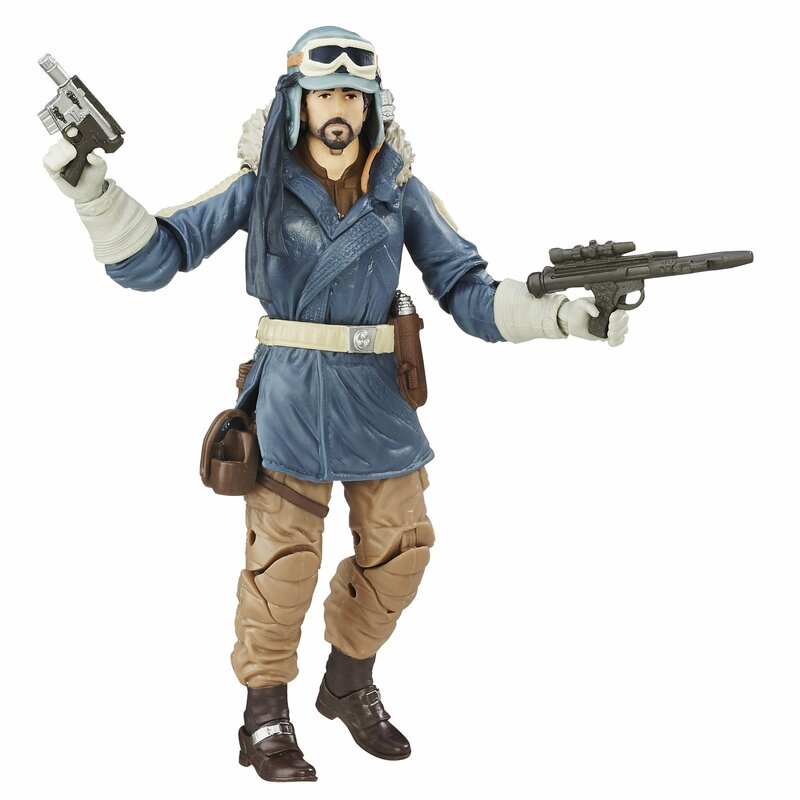 Build up an epiccollection with this 6-inch Captain Cassian Andor figure and other figures andvehicles from Star Wars The Black Series, each sold separately. May the Forcebe with you! Star Wars products are produced by Hasbro under license fromLucasfilm Ltd. Hasbro and all related terms are trademarks of Hasbro.